B2B website personalisation: the next big thing! Customers today have ever increasing expectations of brands and businesses in both B2C and B2B; they not only want a product or service, they also want a personalised experience. Simply having a website is no longer enough. In the B2B world, companies need to be prepared to personalise their B2B website on an ongoing basis so that website visitors are catered for at every stage of the buyer journey. Fortunately, B2B website personalisation is easier than ever. Sophisticated platforms like HubSpot, for example, provide the necessary functionalities and features B2B companies need to develop a prospect-orientated website. It’s a simple proposition, and many B2B websites have already deployed advanced personalisation tools – smart content, behavioural-based design, referral-based design and others – to attract, engage and retain website visitors. 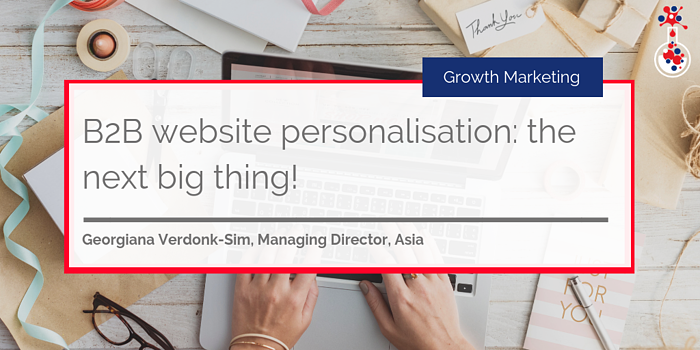 In this blog we will take a look at B2B website personalisation, and how businesses are using personalisation tools to attract, retain and convert customers in 2018. Content is the backbone of every Inbound Marketing strategy. Every web page, campaign, blog, email and pay-per-click (PPC) advertising campaign requires content. Content helps brands and businesses to connect with their target audience, educate and inform interested parties and generate high-quality leads – so without it, they stand no chance of standing out from the competition online. However, as more and more businesses get on board with content marketing (more accurately, Inbound Marketing) just producing high-quality content is no longer enough. People today want personalised experiences. They want to feel as if a piece of content, campaign or web page was tailored specifically for them. As such, brands and businesses are leveraging more sophisticated tools to create content, namely smart content, for B2B website personalisation. Smart content (also known as dynamic content) is, according to our guide and mentor HubSpot, website content that changes based on the interests or past behaviour of the viewer. Smart content works by leveraging data from a business’ marketing database or CRM – as these platforms store contact information and interactions visitors have had with the website – to modify website content (or elements of the website) to provide a personalised experience for specific contacts. Marketers can set rules for smart content, allowing them to show certain kinds of content to specific contacts. For example, a criteria string could be: “If a contact has downloaded X eBook, show them Y eBook instead”. It could also be used to show website visitors different (but relevant) landing pages based on what they have viewed previously. One of the best examples of smart content is Amazon’s recommendation engine. Amazon’s real-time recommendation engine shows customers the products most relevant to them, based on what they have bought in the past, the items they have in their virtual shopping cart, items they have rated or liked and what other customers have purchased. The recommendation engine is so effective that it has generated more than a third of Amazon’s revenue. Similar to smart content, smart calls-to-action (CTAs) – also known as dynamic CTAs – change depending on a contact’s behaviour and past interactions with the website. For instance, if a contact has already clicked on a specific CTA (and downloaded the content asset or viewed the web page linked to it) on their next visit they would be shown another CTA that’s relevant to their interests. Smart CTAs are rules based, meaning they change depending on certain criteria that has been set. Of course, not all marketing automation platforms can provide this level of sophistication or granularity when it comes to smart content – so taking the time to look around the market is a good idea. More and more websites are using smart CTAs for B2B website personalisation, allowing them to nurture website visitors and move contacts through to a point of purchase. Find out where to place smart CTAs on your website to drive lead generation. Businesses are able to alter their content based on who visits the website – so why not alter that content based on how website visitors arrive on the website? We know that the channel (referral source) through which a website visitors arrives on the website signals a certain level of intent. For example, a website visitor arriving on the website via paid search is interested in the product or service they clicked on and likely to be further down the funnel than say, someone who arrives on the website via social media. 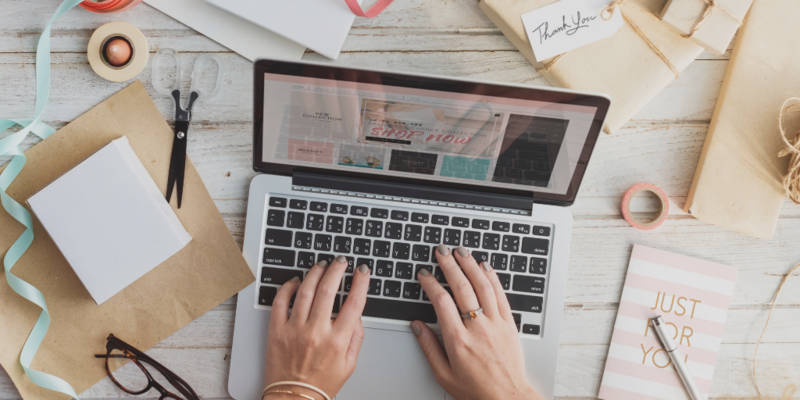 Given the differences in intent and stage of the buyer’s journey, it makes sense to tailor website content to appeal to website visitors at different stages of the buyer’s journey. Those looking to educate themselves, for instance, would then see informative articles around the particular problem they are looking to address. Whereas those looking to purchase a product or service would see product demonstration videos, pricing documents, product specification sheets and other collateral. This kind of B2B website personalisation can be done across every referral source, providing businesses with a way to customise their content for every stage of the buyer journey. Smart content and CTAs can help to alter the text that’s on a website – but what about the website layout? Website visitors will be drawn to and linger on certain areas of a website – so knowing just where these places are can help B2B companies to develop a more prospect-orientated design. Heatmaps, for example, are excellent tools to help identify where website visitors go and what they look at. Analytics will tell marketers what pages prospects view but it won’t tell them what aspects of the page they looked at. Using heatmaps, businesses can then alter the design and layout of their page to maximise visitor engagement. Maybe a CTA could be placed further up or perhaps a banner ad at the top of the page would increase conversion rates. Knowing just where website visitors click and how they view web pages is tremendously beneficial when it comes to designing a more personalised website for visitors. These are but a few things that B2B companies are utilising to create personalised experiences for their website visitors. The key nowadays is not simply having a website but having a website that is prospect-orientated. If you want to find out more about developing a prospect-orientated, lead-generating website, download our free HubSpot Website Design eBook by clicking the button below!